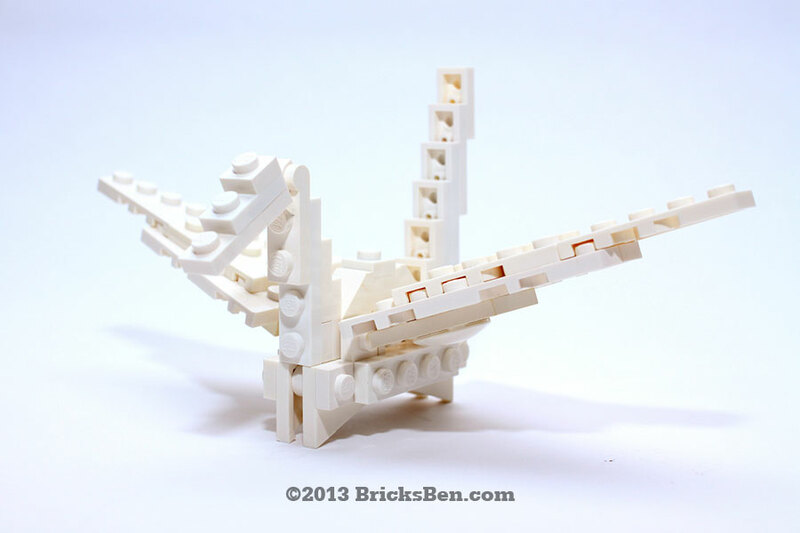 It was a challenge to express the elegance of this timeless origami piece with LEGO® elements. Our brick version features a tilting head and wings that flap up and down. Hope we did justice to the classic paper crane! Construction notes: The structure of this creation was made possible by the use of four lamp holders that join the neck, torso and tail. A useful SNOT (studs not on top) technique to build in three directions within a tight space! Wanna see this made into an official LEGO® product? 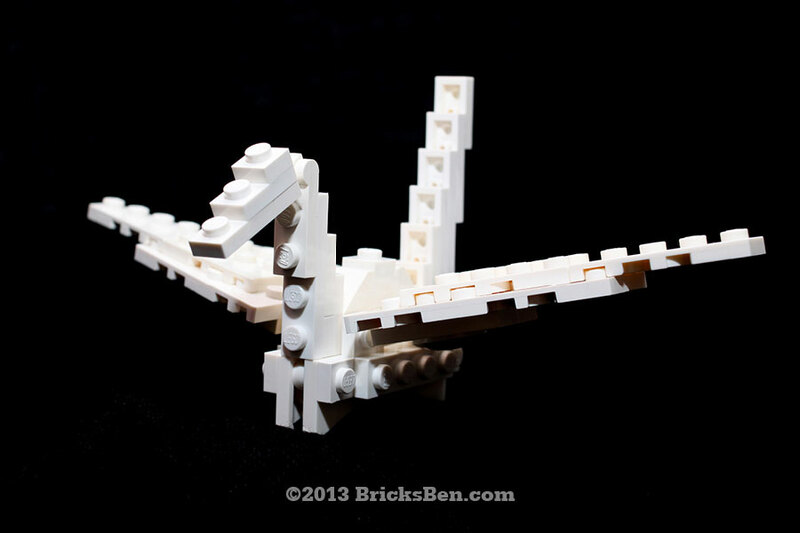 Vote for our Origami Crane on LEGO® CUUSOO! More Brick-a-Boo: Balloon Dog, Happy Poop, Ladybird, Mini Castle, Pencil and Shuttlecock.